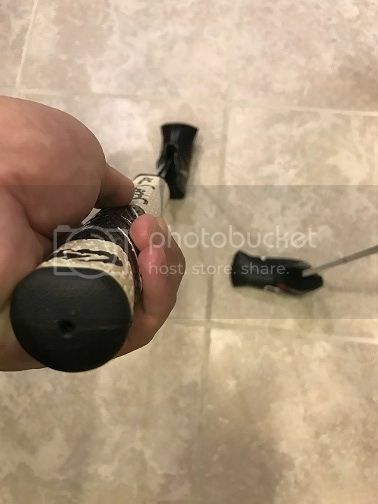 I just got this grip installed on my putter last week. Not a lot of time but I wanted to share my experience with you as I think it is an excellent product and just what I have been looking for in a putter grip. Just a little bit about my putter and my putting. To be honest there is still a lot to be desired with my putting, but I have been putting better since I was custom fit to an Edel E-1. I had much better distance control and aim. Only problem I had was with my grip and stroke where sometimes during the stroke I would not be able to keep the putter from slightly “swaying” in my hands (the putter head moving outside of my comfortable swing arc when I gripped the putter lightly). This forced me to grip the putter tight, especially on longer putts and I tend to miss the middle of the face when I do this. 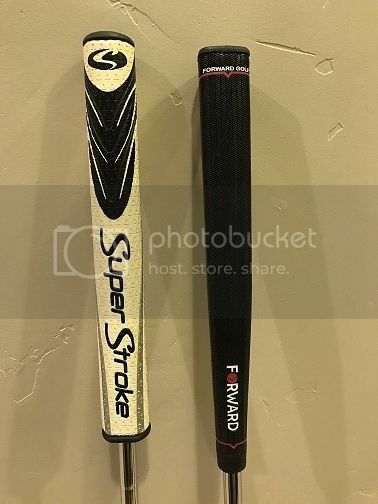 I have always had this problem with all of my putters, regardless of the grips I have tried on my putter - Pingman grip, Edel round grip, Superstroke Slim 3.0 - and all the others I demo’d at the stores. 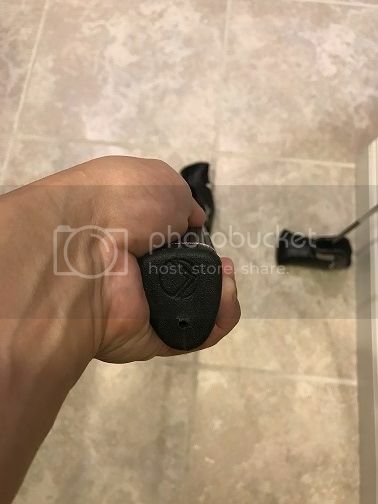 I read about this grip online by complete chance, but the reviewer’s description sounded like exactly what I felt I was missing. It is relatively inexpensive - in line with Superstroke prices - so I decided to take a blind plunge, and boy I am glad I did! It has eliminated any gap between my hand and the grip - it “falls” comfortably into my palm and stays there. I can grip as lightly as I want and the built in design automatically aligns the shaft and my forearms - this is also a key benefit of this design, and the main difference for me compared to other “jumbo” sized grips. I don’t have large hands, so when I tried grips larger than Slim 3.0, the size of the grips started to feel awkward, and ultimately led to straining to hold the putter in other areas of my hand - which became inconsistent, or my lead wrist would break excessively during the stroke. Softness is very similar to a Superstroke grip, but the texture feels tackier. Tackiness is not something I would need in a putting stroke, but does seem to aid in giving me the confidence to hold the grip lightly. No complaints. I feel much more comfortable holding a putter than ever before. The wrists don’t break during the putting stroke, even when I grip the club lightly and I believe this will give me more feel and touch as I use it even more. Most importantly, I strike on or close to the sweet spot of my putter more consistently regardless of the length of the putt. In short, I love this grip and finally feel I am completely set with my putter. I use the reverse overlap grip, but I found it equally comfortable with left hand low. But I am not sure if this would be a good fit if you were using other types of methods as it is a v-shaped grip. Here are some pictures to give you an idea of the size and shape of the grip. Last edited by Ryan Loves Golf; 10-20-2016 at 01:00 PM. Directed Force 2.1, Stablity Putter Shaft, 33"
That's a pretty big grip, and one I probably would have tried before trying out a non tapered putter grip. A lot of your findings were in line with when I used the Winn Jumbo Crown grip. I think I tried those several years ago as well. They were big, probably similar size, but I believe the shaft goes in through the middle of the grip. 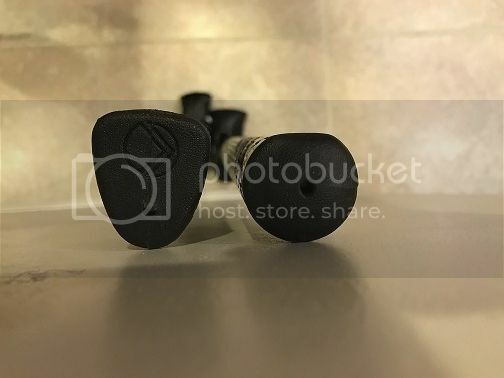 In the Forward putter grip, the shaft goes in the bottom part of the grip, where you see the little hole from the top is the center of the shaft. The meaty part of the grip is "forward" of the shaft which helped me maintain lie angle and keep the shaft in line with my forearms.